Families choose to adopt medium dog breeds for many reasons. At the top of the list of why mid-sized dog breeds are a great choice is that there is a huge selection of pups since they are defined by weight, height and length – not just their size. Medium dogs weigh between 20 and 60 pounds. Their height ranges between eight inches and 27 inches. Mid-sized, with all the charms of a dog of any size, this category of dogs can be from a medium small breed range like a Dachshund, Corgi and French Bulldog; a medium dog group such as a Beagle, Border Collie or Bull Terrier; or medium to large dog breed category like an Airedale Terrier, Samoyed or Chinese Shar-Pei. While weight and size is an important factor in choosing an adoptable pet, there are a few more considerations to explore before you bring your new best friend home. Medium dogs range in size from a standard Dachshund to a Dalmatian. To determine the best size medium dog for you, consider whether you’d be able to lift and carry your pet if need be. Another consideration for size is if there are younger children in the household. Matching the size of your medium dog puppy or adult to the smallest member of your family could mean fewer instances of children or pups being hurt or knocked over during playtime. A dog’s attitude can be a deciding factor in your adoption too. Are you interested in a pup that’s affectionate, alert, friendly, gentle, lively, playful, protective, docile or maybe quiet? Medium dogs, just like their range in sizes, have just as wide of a range of attitudes. For example, Whippets are known for being sensitive. A large, rambunctious family can make a Whippet anxious. Wire Fox Terriers thrive on attention and the friendliness of children so these dogs are known to automatically want to jump into any and all activities with them. The best way to measure temperament is to spend time with a dog and assess how he will integrate naturally into the varying energy levels and personalities of your family. The energy of a dog is closely related to his activity level. It’s important to assess how much time you can dedicate to exercise your new best friend, and how often you’re able to ensure your medium-sized dog’s energy levels are satisfied. A good way to choose a dog that suits your activity is to match him to the lowest energy level amongst your pack – that would include human as well as any other dogs in your family. All dogs need some maintenance, and there are medium dogs that may need less or more of it depending on a few things. When it comes to coat and nail care, remember that longer coats may need regular grooming including washing and/or a blow-out. Other medium dogs require little or no coat maintenance except a nail trim every few weeks. Keep in mind that there are medium dogs that may also have a coat that sheds, sometimes they have two coats which may mean more cleaning up and grooming than you’re used to. 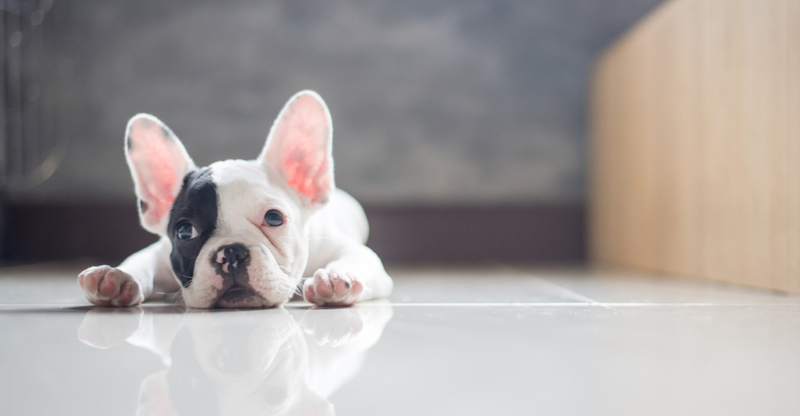 Before welcoming your new pup home, take some time to think about whether you have space in your week to bath, brush and blow-dry your best friend, or whether you’re able to support his grooming needs through regular visits to a dog day spa. Which medium dog breed is right for you? As the most popular size in the US, medium dog breeds are great for families of all types. Whether you’re looking for a running partner, a companion to watch TV with or just one that enjoys an energetic household – you can find and adopt a great pup to match your lifestyle, personality and activity level in the medium-sized dog breed category! These short-legged pups were originally happiest when they were off hunting, so keep in mind that your next best friend may come with some serious gardening skills. 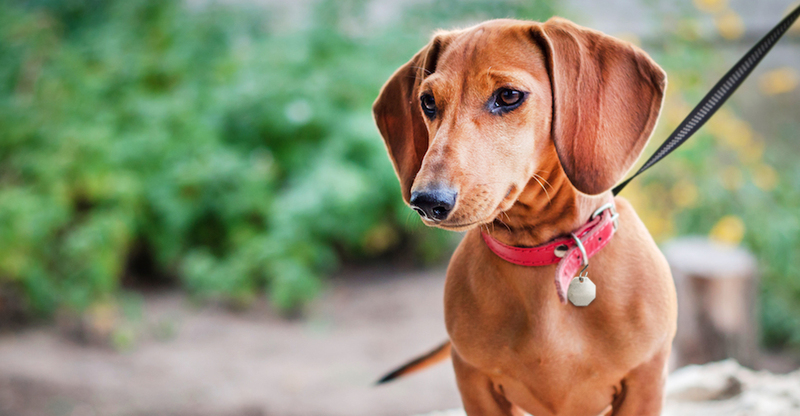 Personality: Loyal, energetic and affectionate – Dachshunds will be quick to alert you to visitors and enjoy nothing more than inviting older children to play along with them. Once companion animals for lace-workers in England, French Bulldogs had the important job of helping to rid the workrooms of rats, later becoming trendy pets for artists, writers, painters, and the wealthy Paris bohemian class. Personality: Playful, entertaining and well-behaved, Frenchies charm every family member into feeling adored and will thrive on the energetic personalities of the children in the house too. 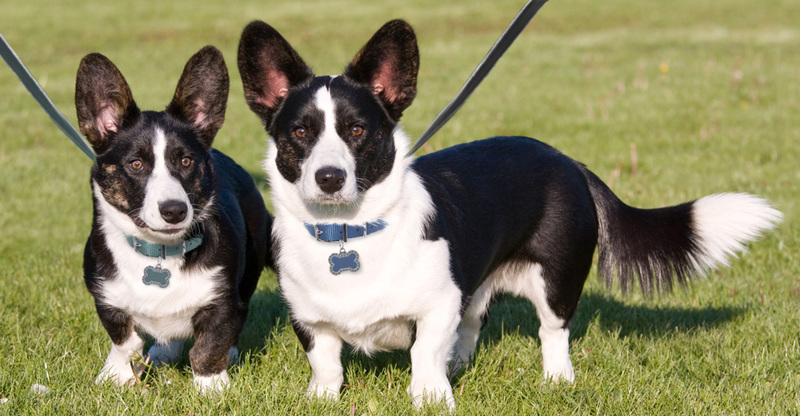 Born tailless, unlike the Cardigan Welsh Corgi, Pembrokes helped herd cattle, sheep and Welsh ponies for South Wales farmers before becoming a household feature in royal English palaces. 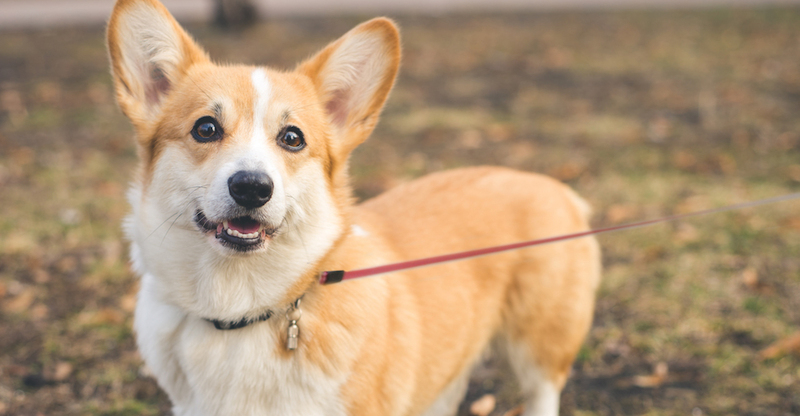 Personality: Friendly, intelligent, very energetic – Pembroke Welsh Corgis give everything they do 100% from competing in agility and training to being a therapy dog or just having fun outdoors on a hike. Full-tailed Cardigans may be long-bodied but they are fast. Fast enough to be swept up by cattle farmers to protect homesteads and drive livestock out into fields, dispersing the herd over acres of land. Personality: High-spirited, fun-loving and easy-going – this dog is totally devoted to family-time, all day. In fact, it’s the Cardigan’s goal in life to please all family members and get along with other pets. 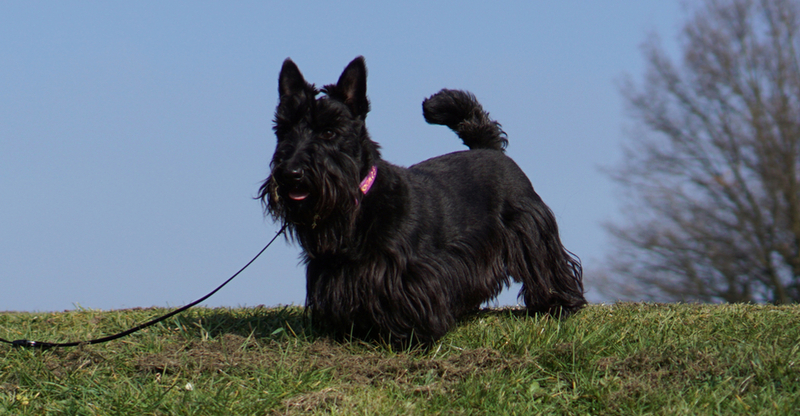 With a typical no-nonsense terrier attitude, the lovable Scottie once roamed the Scottish Highlands sniffing out and pursuing prey. Personality: Spirited, alert and feisty – Scotties do well in homes where they can make a family member the center of their universe and vice versa. As a scent hound, nothing makes a Beagle more excited than a trail smell worth following, allowing this pup to show off his fine-tuned sniffer. 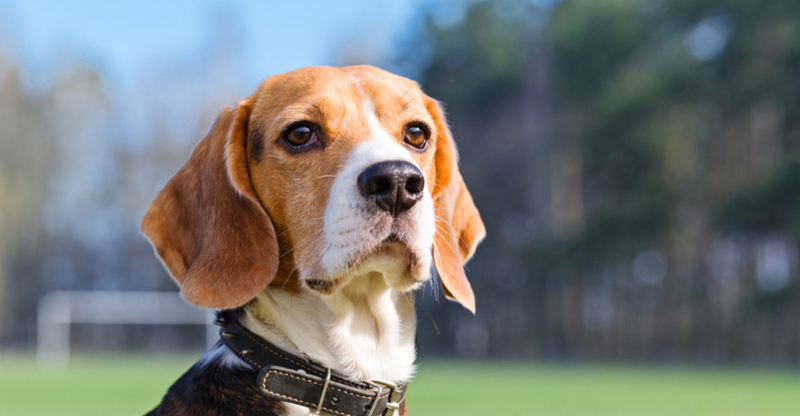 Personality: Naturally happy, outgoing and affectionate, Beagles fit comfortably into any active lifestyle where he can exercise his love for following all types of scents, howling and food! If you need just one obedient family member – the historically bred-for-farm Sheltie herding dog should be your first choice. A quick learner, this breed was able to not only herd cattle and ponies but also chickens. 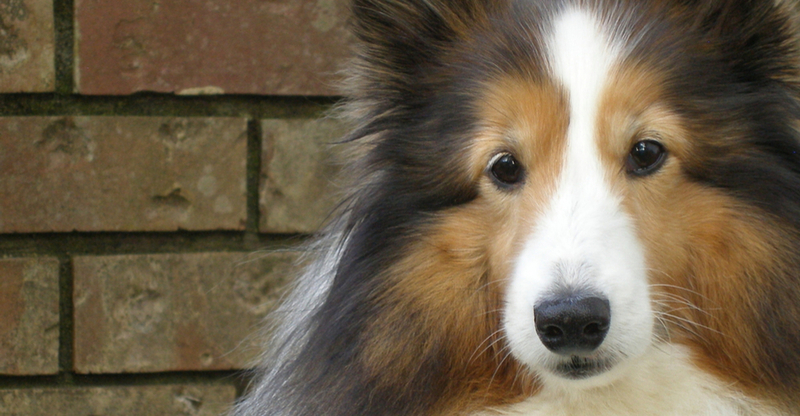 Personality: Gentle, athletic and affectionate – Shelties live to please so teaching new tricks, games or agility courses will bring out the best in them. With an ancient lineage dating to 300 B.C. 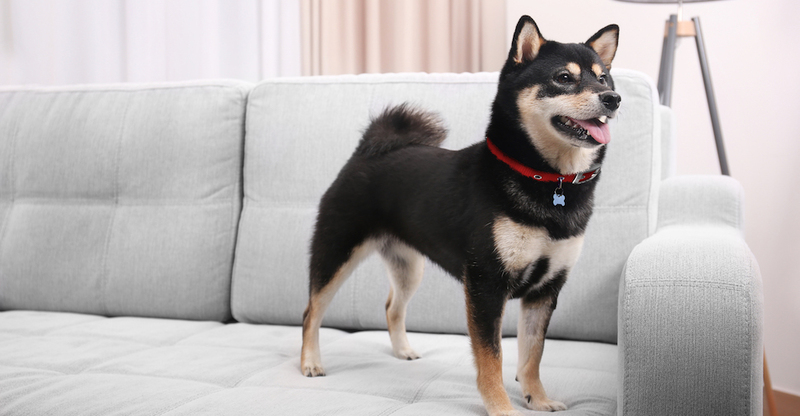 Shiba Inus were a favored companion with Japanese bird and small game trackers. Personality: Bold, carefree and energetic – Shibus benefit from early and consistent training to help him become a happy, well-mannered member of the family. Competitive by nature, expect most of your activities with an English Cocker to be a game from racing you to a destination to finding something you weren’t looking for – thanks to this breeds incredible tracking skills. 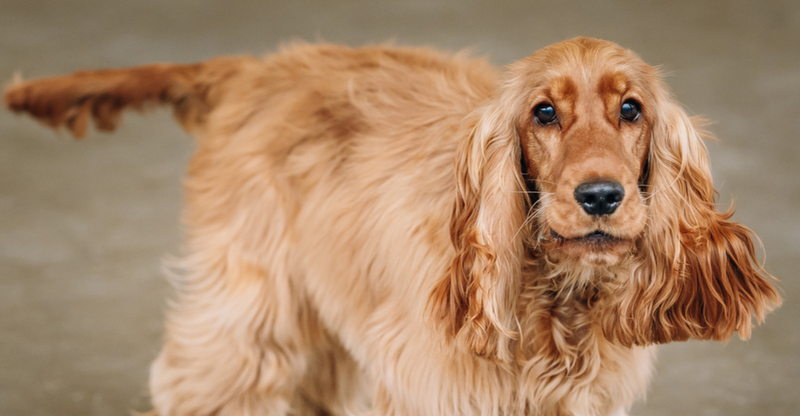 Personality: Faithful and social – English Cockers are people-lovers who are just as comfortable out on a hike or walk with the family as they are snuggled up between them on the couch. Whippets have a natural instinct to chase cat-sized and smaller animals and capable of jumping fences to claim their prize. Best places to let these pups run it off is your nearest dog park or a nice big fenced yard. 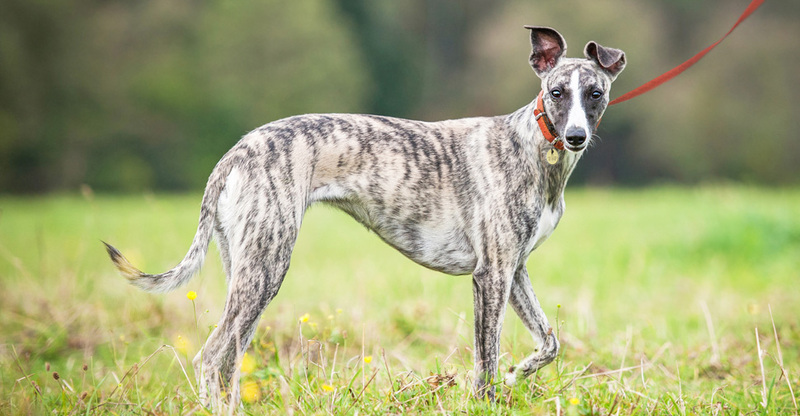 Personality: Graceful, athletic and fast – a Whippet is never happier than in the company of reserved grown-ups and well behaved, gentle children. Border Collies are devoted family companions who require creative, fit, outdoor loving pet parents. Complex games, as well as obedience or agility classes, will show you how this breed truly rises above the rest. 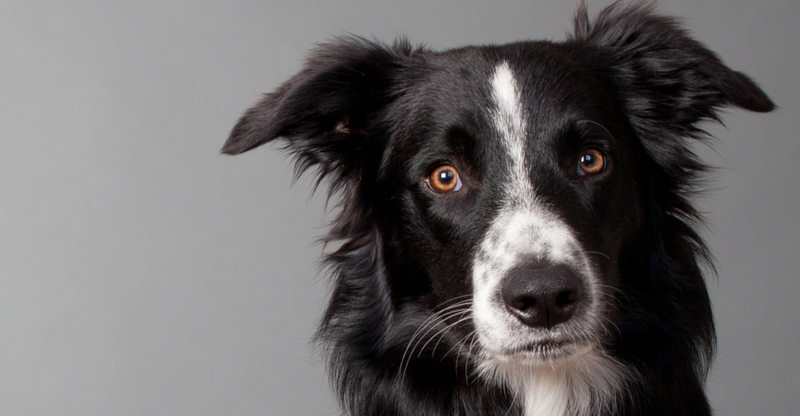 Personality: Protective and highly active, Border Collies never put their compulsive herding skills to rest and form very tight bonds to pet parents – shadowing you wherever you go. 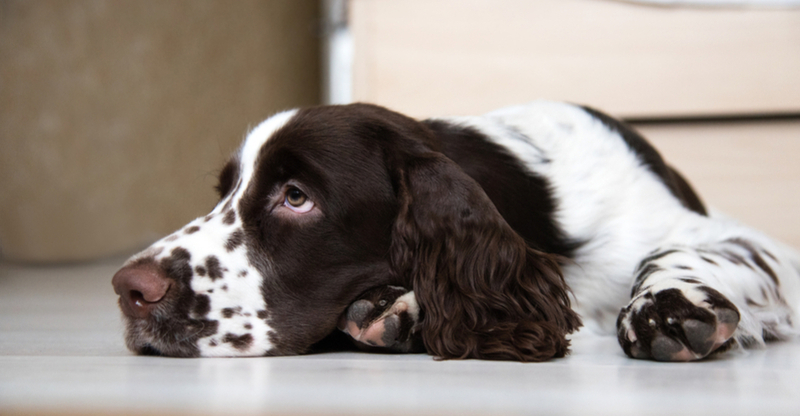 From competitor to family companion, Springers easily adapt to a balanced life of purposeful activities that nurture their keen scent abilities, retrieving skills and one-on-one time with their pet parents. Personality: Naturally curious and quick on their feet, means that Springers love to have their noses to the ground, exploring every nook and cranny and hoping a chase of any sort follows. 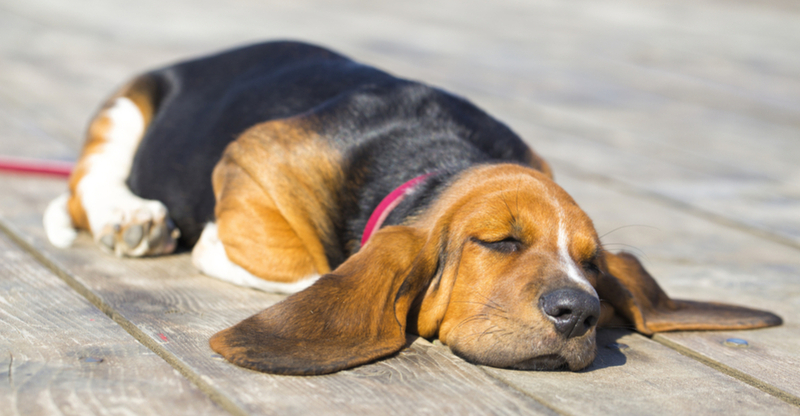 Good thing Bassets’ stumpy legs and large torso keeps this pup slow and low to the ground allowing those long, floppy ears to absorb the scent that is likely being tracked up into his nose. Personality: If there’s a face no one can resist, it’ll be a Basset Hound. This breed has perfected puppy-dog eyes which endear him to pet parents secretly sharing their scraps and the kids not-so-secretly doing the same. 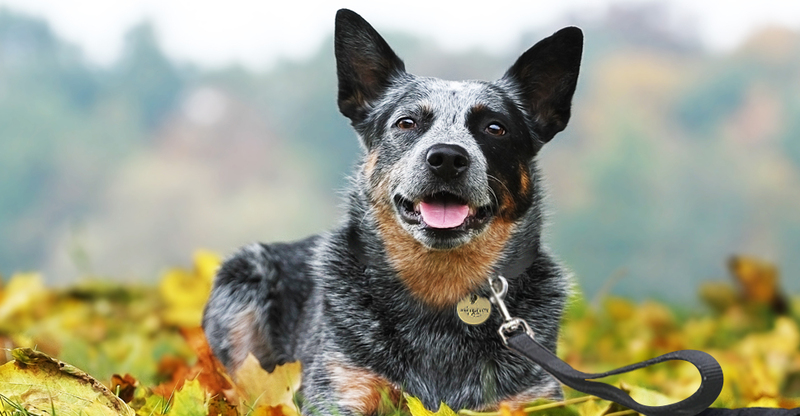 With a sense of adventure, a love of long days outdoors and the stamina of a triathlete, Australian Cattle Dogs make a great match for families with sporty, older children that can go the distance. Personality: With strengths used for taming and herding wild cattle, these pups naturally assume they are the leader of a pack (including the humans) keeping everyone in line in the nicest way – all day. 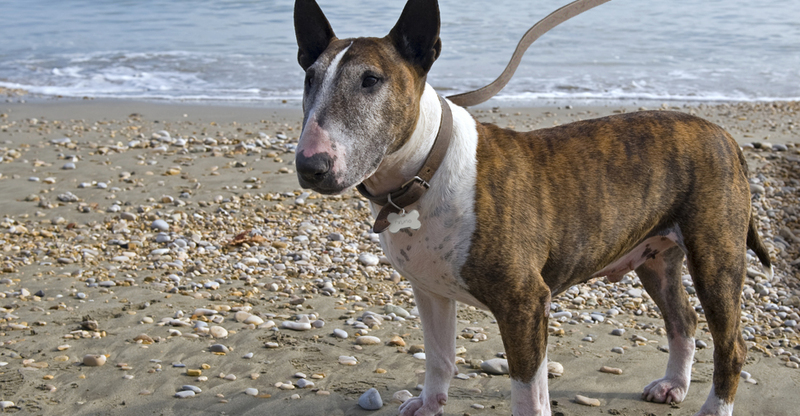 Muscular, fit and family friendly, Bull Terriers never get enough affection, exercise, and playtime with their pet parents. To keep his mind sharp and body in shape, his family needs to be as sporty as he is. Personality: Sweet-natured, fun-loving and playful – Bull Terriers are crazy about kids, volunteering to kick-off any outdoor games first. These dogs are spirited so older children may match their energy. A typical farm dog that helped keep the mice and rat population in check, Wheatens are superb alarms and used to ensure that strangers and predators were announced long before they were ready. 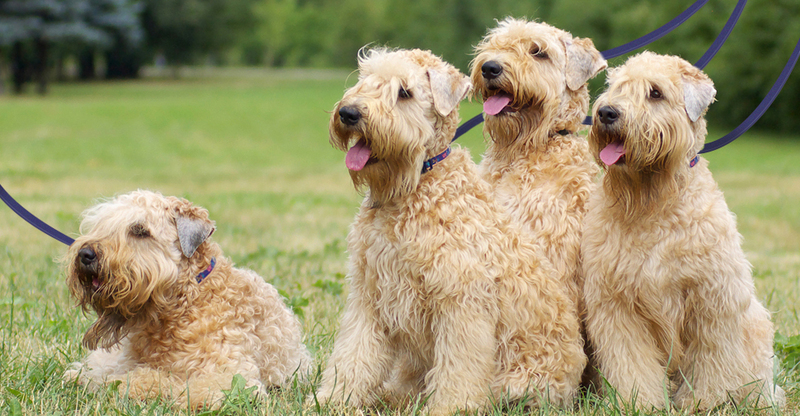 Personality: Quiet, affectionate, independent – a Wheaten Greeting is like no other, bouncing and twirling in circles from the pure delight of meeting you. 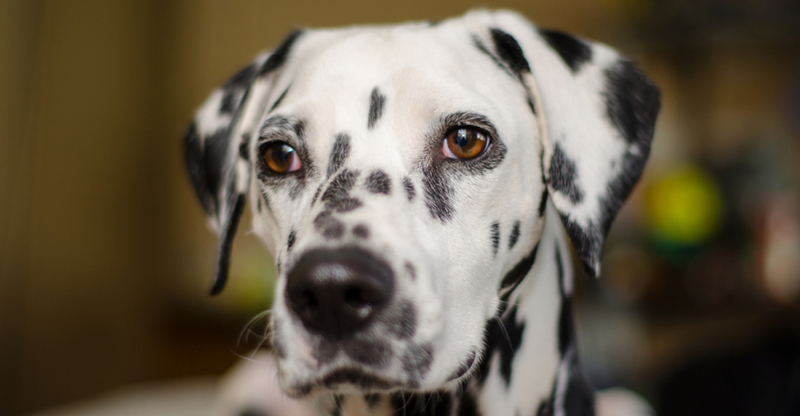 Raised to endure long distances, guiding and guarding horse-drawn carriages, Dalmatians have marathon-like stamina and are best suited for pet parents that can go the distance. Personality: Athletic, loving and family-focused, your Dalmatian has two priorities: long distance runs and being as involved in the family as any human member. Originally raised to care for reindeer, and keep the children of Samoyed nomads warm during the cold Russian winters –Samoyed dogs were not only family pets but also help to protect the herds from predators. 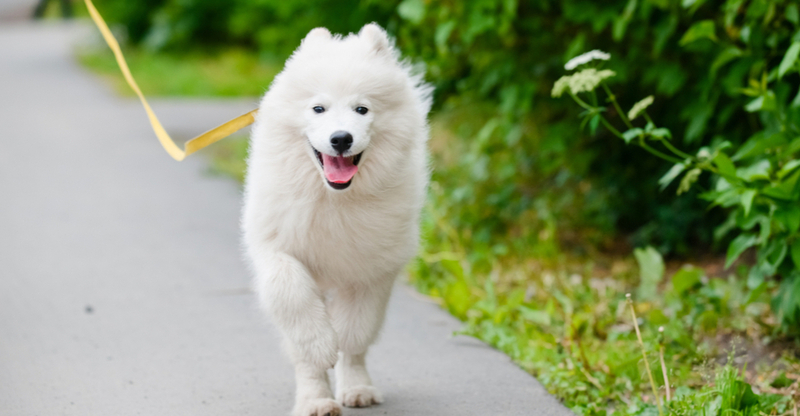 Personality: Gentle, docile and a real people-lover, the friendly Samoyed loves to be active outdoors just as much as being indoors, patiently keeping young toddlers company. 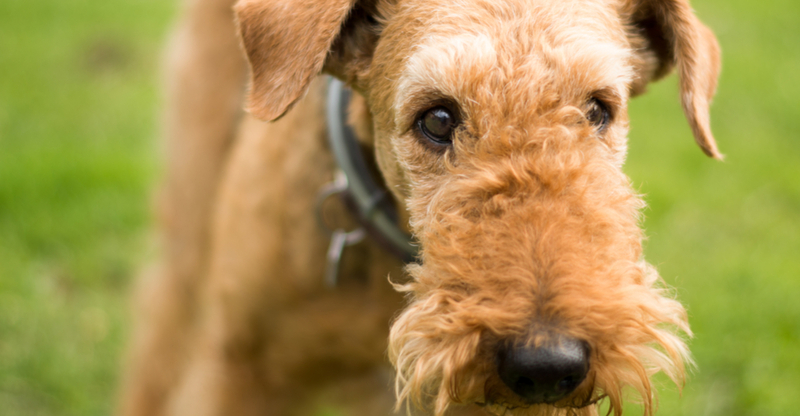 Known as the King of Terriers, Airedales were revered for their tracking abilities. The breed is considered one of the most adaptable types of dogs, transitioning from military dog jobs to a faithful family companion. Personality: Independent, active, friendly – Airedales live for the next adventure whether it’s teaching him new games, joining your hike or quietly watch you load laundry. 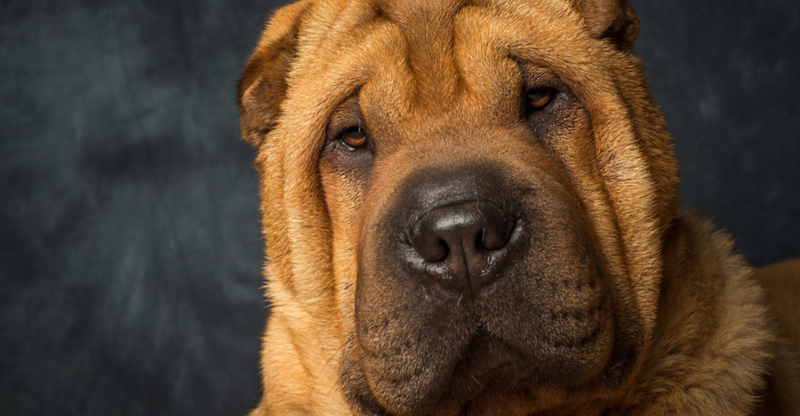 Once a guardian of property and livestock as well as a hunting companion for local people in southern China, Shar-Pei lineage can be traced back as far as 200 B.C. Personality: Regal, wrinkly-faced and calm – Shar-Peis thrive on daily mental and physical stimulation through fun, outdoor games, and long walks. Looking for an adoptable best friend? Let’s get started with helping you find the right medium sized dog to match your lifestyle, personality and family needs. Check out this useful Pet Adoption Guide. Search the available dogs for adoption by area, breed type, gender, and age. Contact the animal shelter or rescue group to visit your new best friend and assess if you’re a good fit. Note: While the breeds in this collection tend to be medium-sized, individual pets will vary. Please consult the adoption organization for details on a specific pet. Dachshunds will be quick to alert you to visitors and enjoy nothing more than inviting older children to play along with them. Frenchies charm every family member into feeling adored and will thrive on the energetic personalities of the children in the house too. Corgis give everything they do 100% from competing in agility and training to being a therapy dog or just having fun outdoors on a hike. High-spirited, fun-loving and easy-going, this dog is devoted to family-time and it’s the Cardigan’s goal to please all family members. Scotties do well in homes where they can make a family member the center of their universe and vice versa. Naturally happy, outgoing and affectionate, Beagles fit comfortably into any active lifestyle where he can exercise his love for following all types of scents, howling and food! Gentle, athletic and affectionate – Shelties live to please so teaching new tricks, games or agility courses will bring out the best in them. Shibus benefit from early and consistent training to help him become a happy, well-mannered member of the family. English Cockers are people-lovers who are just as comfortable out on a hike or walk with the family as they are snuggled up between them on the couch. Graceful, athletic and fast – a Whippet is never happier than in the company of reserved grown-ups and well behaved, gentle children.